Like a lot of things which governing agencies deem as illegal, torrent search engine sites face a continued struggle to remain active. Trying to find popular torrent sites which work while at the same time offering high-quality torrent files can be tricky, to say the least. There are also some sites which are loaded with ads and riddled with malware, and the torrent files themselves are low-quality or indeed fake. It is indeed challenging to find torrent sites that work in Australia especially when ISP’s are bound to store user activity for 2-years. Here we will review the top torrent sites which are still working, and all the information you need to make uninformed decisions about which ones might be suitable for your needs. Is Torrenting Illegal in Australia? Being one of the most controversial torrent sites ever created. The Pirate Bay has faced plenty of struggles. 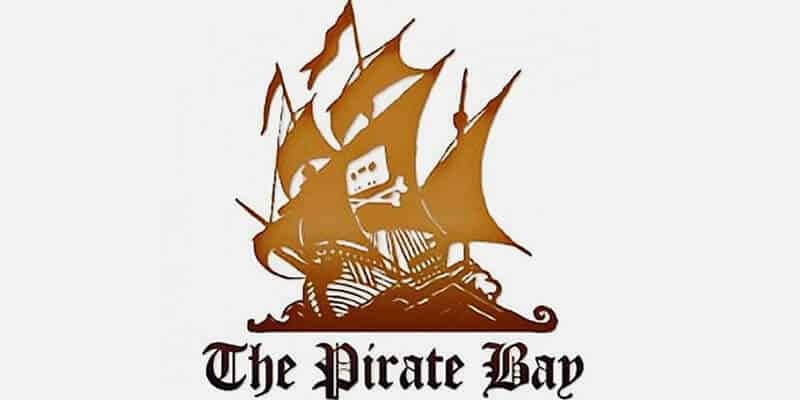 With numerous Pirate Bay proxies starting and being shut down, it’s a never-ending fight for this site to remain active. It does, however, show why it is in the top 10 torrenting sites list. Best For TV Shows, Movies, Music, Games, and Applications. For a site which is over 15 years old, you can expect a wealth of content. With over 3 million torrent files and magnet links, it is still highly regarded as the best torrent site regarding reliability. There are some reports of crypto-currency miner scripts running on their website, so precautions are worth taking. The Pirates Bay free download of a browser for Android is also available, but this doesn’t download files, and a third party torrent app is still required. The main interface presents you with a search box where you just type the torrent file you’re seeking, and then you will be presented with search results (a lot can be fake). The main site at thepiratebays.so was down at the time of writing, and another URL pirates bay se redirected to a European casino gaming site. There are though more than enough Piratebay mirrors up and running. For Mac users, Piratebay2 is one of the best for Mac torrents. YTS grew from the famous Yify above and has gone on to be one of the most popular movie sites for torrents. As a result of this, its primary focus is of course movies, so if you are looking for anything else, you might need to check out a YTS alternative. Best For Classic and new movies. The YTS movies official site has a fantastic user interface which lists all the current popular movies by their covers. This makes YTS browse movies very easy and a joy to do rather than browsing a long list. Searching the 4k + movies on offer is so easy a child could do it, but like others, a torrent app is required to download. With all its popularity, you might think it is prone to malware infections, but YTS.ag safe for all movies which are downloaded. Many links are broken such as yts.la or yts.me, but ytstv.com comes with an updated user interface which is super cool and bringing the best movie torrents to every Aussie movie buff who wants the best from the best movie torrent sites. This site has grown its user base over the past few years, but the main site extratorrent.cc was shut down. It is however back with a new URL which will please many users. It has a large active community which leads to the sites continual success. ExtraTorrents unblock mirrors offer the same great content as the original site did before it shut down. The top 10 of each category are shown, and from there, you can search, or use the entire site search bar like any other site. The ExtraTorrent TV downloads section has some of the most up to date, and favourite shows from around the globe. This can make it easy to grab a full season without needing to stream content. The 1337x torrents site has been around for well over 10 years and has built up a loyal following. Being highly reliable and robust for standing so long, there aren’t many sites which can match it in this way. Although it hosts a wide variety, it is best known for movies. Blocked in: Austria, Australia, Ireland, United Kingdom. Popularity: Hugely popular, touted as Pirate Bay alternative. Over 2.5 million torrents. Best For Movies, TV Series, Games, Music torrents and Applications. The user interface has gone through a few changes but has followed the same basic design. All sections are well laid out for the different torrent categories such as Television, Games, Music, Apps and 1337x Movies. The site also gives a list of 1337x mirror sites which are working if you are having problems connecting. All in all, it delivers well even if the number of 1337 torrents is smaller than other torrent sites, as, with some better places, it isn’t a site which is full of dead links or fake files. RARBG has been around since 2008, but it still doesn’t match some of the big hitters for the volume of torrent links. It does though on the whole offer high-quality files. Blocked in: Bulgaria, Denmark, Indonesia, Ireland, Morocco, Pakistan, Portugal, Saudi Arabia, United Kingdom. Best For: Movies, Music, TV Shows, Games, Software. The RARBG-search page is clearly laid out and gives options for movies, TV shows, and documentary torrent options. It is best to select this first before searching. Results give plenty of options, and you can see the number of seeders and leechers for each link. The site also gives lots of information regarding your download, although you might not need to read this. Fake files are at a very minimum as users like to build up a video library from a reputable source. A RARBG mirror offers the same interface and some are on fast connections which is a plus, and it is easy to see why they are one of the best movie download sites. Back in 2015, the original EZTV was shut down over some internal wrangles and a hostile takeover. The new site can be found to be one of the best places for TV torrent files. This is clearly visible by the large EZTV show list. EZTV movies are not catered for, so there is a limited appeal to many users who are looking for other forms of content. The interface might appear a little outdated to some other torrent sites, but the user experience is good as reported by the many TV buffs who continually use it to find the best and most up-to-date TV show torrents. The EZTV proxy list is also connected to fast connections which can help with download speeds. 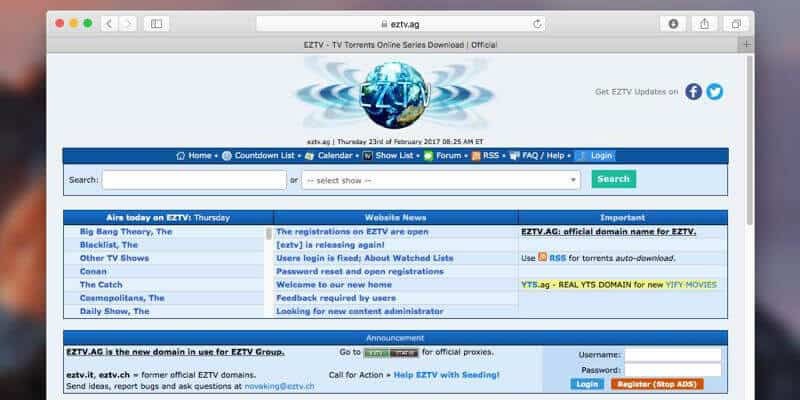 Although the none of the EZTV mirror sites are filled with malware or fake files, it is still advised to use a VPN because many places will fall under rights issues for regions which could attract attention from governing bodies. With almost 10million torrent links, this site has one of the largest databases around. With a wide range of content which covers most users desires, and keeps them coming back. Best For Movies, TV Series, Music, Games, Applications, Anime. The limetorrent site is cleanly laid out and provides a lot of sections. Australian users can check (if using a VPN). These include Top Torrents, Latest Torrents, and the regular Anime torrents sites choices, Apps, Games, Movies and TV shows, etc. Once a search is made the results come back of the date and time the link was added, file size, seeders, and leecher numbers and a health bar for the file. There are also a lot of limetorrents which are diverse and aren’t found in other locations. All in all, it is clean and easy to use site which offers a breadth of choice. The Torrentz2 search engine is precisely that apart from being the same as the others on the list. It crawls around all other torrent sites for the links to what you have searched for. 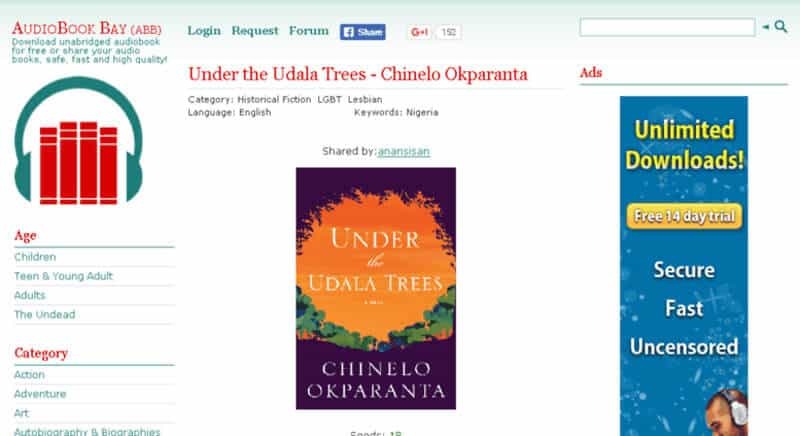 Because of this, it accesses well over 61 million torrent links for each Torrentz2 download search you make. The user interface is stripped back and is basically only a search box. Once you search it comes back with your results and tells you how many torrent links it has searched and the number of domains. The only other thing it shows are links to the Torrentz2 mirror sites, and the remainder of the page is blank. This might appear sparse, but it is merely a search engine and then presenting you with your torrent results. Is Torrentz2 safe? In effect, there is nothing which can’t be safe, but once you click on search results, then that is a different matter. As with other advice, a VPN can help stop any unscrupulous sites installing or running things in the background. This site is something very different and specific as you can tell from the sites name. It provides audiobooks free, and at the last count, it was over 1000 titles available. The biggest let-down is AuidioBook Bay wants you to create an account before you can access the torrent files. If you are keen for Audio Books, you can try this site as long as you are happy with the Audiobook bay login procedure. There is also a direct download option offered, this does take you away from The Audio Book Bay to a third party direct download site where you also need to create accounts. Aside from this, the interface looks dated, and the choice of titles is nowhere as large as some other alternatives around the internet. One further downside is the Audiobook Bay proxy list is minimal, and these might not work due to age rather than being blocked and taken down. Yify was one of the most popular torrent groups around and are responsible for releasing high-quality movies on various other sites. It was then they released their own website due to public demand. The site Yify torrent org was receiving millions of hits per day, but as a result of their popularity, they were hunted down. Such is the name is well known for high-quality Yify torrents of movies, there was a lot of people who wanted more from the group. Searches include Yify music, and you do get results, but unfortunately, they aren’t anything to do with the YIFY site. The site itself is like browsing a library, and everything is laid out clearly, There are subsections for action, adventure, comedy, horror, thrillers and many more types of movie you can dream of. When you do a search, you’re presented with movie info and a rating, so you have a good idea of how good the movie is before wasting bandwidth. Nowadays torrent sites warn users explicitly about making use of a VPN service, and this advice shouldn’t be taken lightly. In many countries unblocked torrenting sites are illegal, and if no precautions are taken the results can be severe. From copyright infringement notices, hefty fines, arrests, and even threat of jail can be imposed. Aside from this, ISP’s can throttle connections when a torrenting website is accessed, and there is heavy bandwidth usage. This will slow your connection dramatically. Using the best VPN for torrenting can bypass all these problems and keep you safe from prosecution and having your connection restricted. 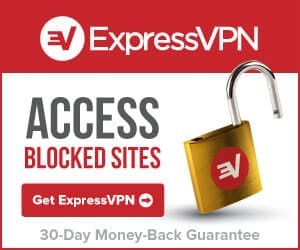 When you use a VPN, your connection is encrypted, this prevents any government agency being able to spy on you, and also your ISP won’t know you are accessing and downloading torrents. When choosing a torrent VPN, there are also a few things to consider, especially when downloading torrents in Australia. Not all VPN’s support torrenting or they don’t provide fast speeds to Australia. The best VPN for torrenting is a well-deserved position and the one sitting in the top spot can be the best option for any Australian torrenter who respects their privacy but also wants the best content. As we see, there are many torrent finder sites all over the internet, but, even with the list above and the millions of torrents which are available, there are times when even the top torrenting sites can’t deliver the content you want. This is where you can turn to private torrent sites. They have advantages and disadvantages over public torrent sites, but first, we will look at what the difference is between the two. Any user can use a public tracker address in a torrent client app to increase the download speeds. This can also go to make a new torrent file. With a private tracker, a user must be invited to register with the site before they are allowed to access any torrents. There is a lot of contention when it comes to torrenting, and it falls into somewhat murky waters. First is the client software, these applications aren’t illegal, the second is the torrent sites. A high number of these don’t host any files, and all they do is provide the links to access these files for the source, in effect, they are not doing anything illegal. The problem is, it is these sites which get targeted first when torrenting in Australia. Such is the extent, in 2017 Australia targeted a total of 59 torrent sites to block, many of what is on the above list included. At the same time, users who are found to be downloading content which is protected by copyright can face severe penalties. Even if you use torrents to access legitimate content, and there is a lot. ISP’s won’t look at it this way, they will see Australian torrents, and it can lead to action being taken. Is it illegal to download movies in Australia, the answer is yes and no. Yes if they are copyright protected, and no if they are public domain or outside of any copyright. Torrents are merely a delivery system and a highly efficient one. However, with the meta data laws in Australia, it is wise to stop your ISP from jumping to conclusions and protect yourself with a VPN. 2 years for meta data retention is a long time, so it is much better to be safe than sorry and stop everyone from seeing what you are doing online. Assuming you’re using a VPN, you need to decide on which bit torrent client to use to download your files. Many offer the same features, but the best torrent client ones bring more benefits or can support more platforms. The Vuze client claims to be the world’s most powerful torrent client, and it certainly acts that way. You can choose from 2 versions, the first being Vuze Leap which is a stripped back a version or the full Vuze app (Vuze Plus). Vuze for Mac supports both the free and paid for versions and can be a great addition to the Piratebay2 torrent site. This torrent client is often touted as the best torrent downloader because of it being ad-free, qBittorrent download speeds are fast and simple to use. The qBittorrent client is a great cross-platform app. This client is fully customizable, this allows you to change it to your own preferences. It is one of the original torrent clients so there will be a deluge review going back years. The plugins can change the way it acts dramatically. You can change Deluge to appear like uTorrent, or you can change it with the plugin for the Deluge scheduler to make the best use of quiet internet times. This client has been kicking around since 2005, so it has been updated quite a lot. What makes this different is the fact it is maintained by BitTorrent. This means they have two clients, but when you compare BitTorrent Vs. UTorrent you can see the differences. uTorrent isn’t accepted by private trackers as much as BitTorrent is. Also, this client doesn’t support web-based seeding, commenting and reviewing as BitTorrent does. You can also look at Vuze Vs. UTorrent as they are similar but very different. The main difference being Vuze is built using Java, where uTorrent isn’t and as a result doesn’t rely on system resources so much. On the other hand, Vuze is open source whereas uTorrent isn’t and could have backdoors built into the client. uTorrent download Mac users can find a fast, stable client which won’t affect their system. It can even be used from a USB drive if required. Like many other clients, the BitTorrent client is lightweight and offers fast downloads. However, it is surpassed by many different clients which provide higher levels of features and control capability. When you look how to download torrented files in Australia, it is pretty straightforward. All you need to do is follow the next steps. It is assumed you have signed up for a VPN service already, and if not, be wary of what you are doing. Here are the basic instructions for how to torrent. Before searching, you should open your VPN client and ensure it is turned on (some allow autostart), if not, make sure you’re connected. You will be directed to a download movies link, once you click on this, your client can be set to automatically open, or you will need to manually open it before selecting this link. Using uTorrent, this automatically opens and asks if you wish to add a new client. Select OK. The steps are simple, and a lot can be learned the more you do it. The most crucial step is making sure you are connected through your VPN, this is the best torrent software because it can save you a lot of complications with illegal content. How to torrent in Australia can be fun and exciting, and it gets easier the more you do it. Select the right client, the best torrent sites and turn on your VPN. All this opens the doors to more content than you could ever dream of safely and securely. With all the negative talk surrounding torrents, the entire scenario has taken on a cynical look. As previously mentioned, torrents are a great technology and the clients used to download them are excellent applications. The use of torrents has reached the likes of Microsoft as that is how the latest version of Windows can receive updates if required. The negatives are of course the illegal file sharing which no one should condone. Every person is different, and they wish to download copyrighted material, that is their choice. There is no question though the torrent scene is on the increase for various reasons regardless of what restrictions governing bodies try to put in place. To make sure users find the best high-quality torrent we went all out to compile the above list of the best torrent sites which still work and offer verified torrents. We also tested all the best torrent clients to see which one worked the best for both torrent files and magnet links. 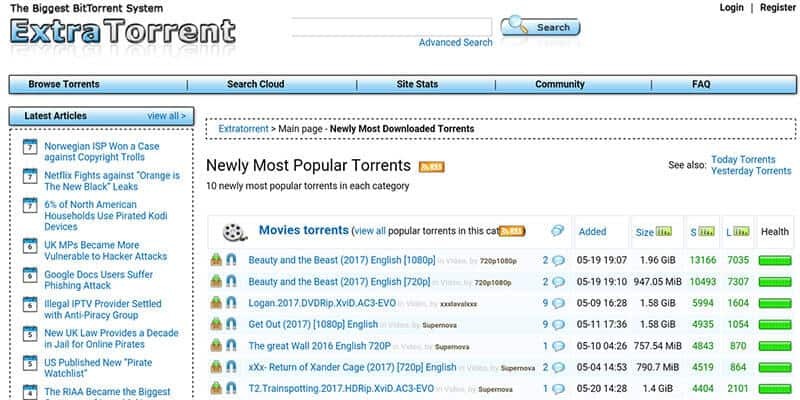 There were two clear winners, even if it was very close in some areas, but topping the list of torrent sites is still the Pirate Bay and comes out as the number one torrent indexer. On the client side, we opted for and recommended Vuze. These two are at the top of their game, but security is crucial, so opting to use a VPN for any P2P file sharing is highly recommended. Australia is becoming stricter, so it is much wiser to be safe and secure rather than risking any torrenting and your ISP being able to see you did this for up to 2-years.